Free consultation with an experienced tax attorney. As a trusted, experienced, and caring lawyer, Attorney Cook has successfully resolved thousands of tax situations spanning decades. This has included representing individuals, couples, and businesses involved in a tax situation. Please take a moment to view the long list of references and testimonials and then call TODAY for a FREE consultation. There is no fee for initial discussions regarding individual tax matters. We can STOP the tax collectors that are harassing you. For over two decades, Attorney Cook has resolved thousands of tax problems. The law firm can help in many areas including: Assistance for Non-Filers ֍ Collection Due Process Hearings ֍ Conciliation Conferences ֍ Federal Tax Liens ֍ Individual & Business Tax Audits ֍ Innocent Spouse Relief Claims ֍ Installment Agreements ֍ Levies & Wage Garnishments ֍ NYS & NYC Residency Audits ֍ Offers in Compromise ֍ Offshore Voluntary Disclosures ֍ Penalty Abatement Requests ֍ Responsible Person Assessments ֍ Sales and Use Tax ֍ Trust Fund Recovery Penalties ֍ Voluntary Disclosures ֍Warrants, Levies, and Seizures Why select Attorney Cook as your lawyer? He has successfully assisted thousands of individuals and businesses with their tax issues. These matters were handled by Attorney Cook, not a paralegal. Attorney Cook has always been committed to providing each client close personal attention and a superior service. ֍ For tax problems, you should select a lawyer that specializes in tax issues and that will work diligently on your tax problems. This will give you peace of mind and will eliminate your financial stress. Contact Attorney Cook today so that you can immediately benefit from in-depth experience and his dedication to helping clients resolve tax issues. ֍ NOW is a great time for you to get your tax issues resolved. Attorney Cook is committed to working with you to construct a plan to help you attain tax relief. He understands the difficulties arising from a serious tax situation. He will treat you with compassion, honesty, respect and dignity. 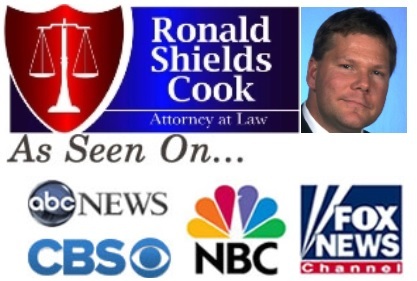 ֍ Attorney Advertising © Ronald S. Cook, P.C., All Rights Reserved. Prior results do not guarantee a similar outcome. Serving Suffolk County, Nassau County, Queens, Brooklyn, Bronx, Staten Island, Westchester, and Manhattan.